A ticket, in general, is an important tool for both the company issuing the ticket and the buyer as it verifies that the holder has indeed access to a certain venue or event or transportation. Tickets come in different types, and the one that provides the highest privilege to the holder is the VIP ticket. The VIP package varies from one ticket to another depending on the company issuing and the nature of the ticket. Considering to create your own ticket? Below are some ideas, templates, and examples of tickets that you can refer to. 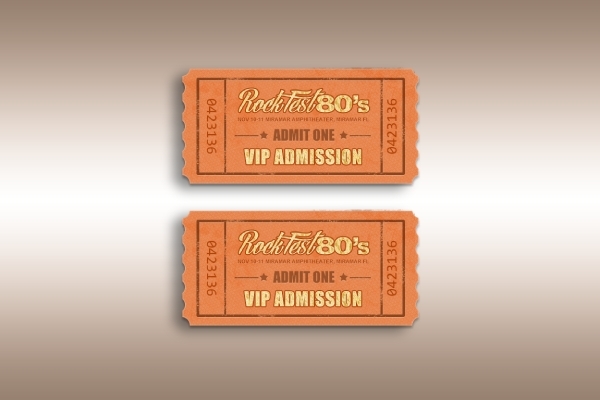 Give your audience an extra benefit with this VIP event ticket. 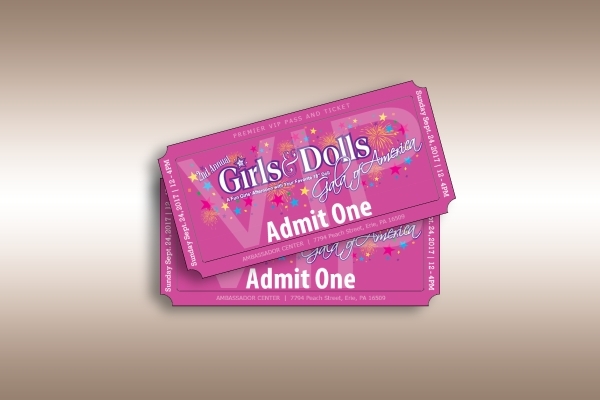 Unlike the general admission tickets, this ticket entitles the holder an added benefit may it be a seat closer to the center stage, snacks, meet and greet with the performing artist, or even event shirts and collectibles, hence perfect for concert or musical events, fundraising events, galas, and a lot more. 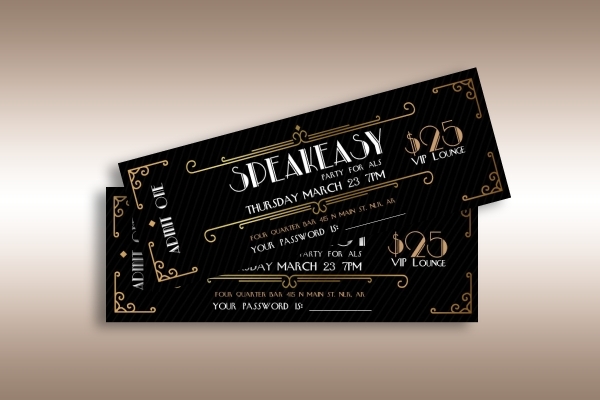 This ticket is customizable, so it is easy for you to incorporate the terms and conditions as well as the scope of the benefits of your VIP ticket through the use of computer application that can open and edit MS Word, Photoshop, Publisher, or Pages file formats. The Bike and Hike organization has a compassionate heart for those people who are living with amyotrophic lateral sclerosis or simply known as ALS. With this, they organize an event in which the proceeds will be given to the ALS of Arkansas initiative, “Operation Speak Easier.” This ticket contains essential information as regards the event, such as the name of the event, the date and time, the amount of the ticket, and the type or class, which is a VIP event ticket. 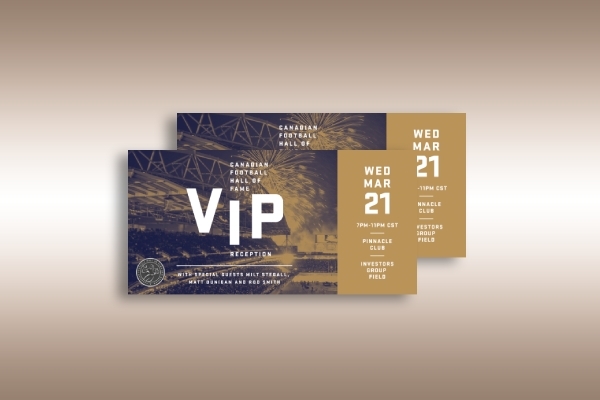 Notice that the ticket is designed with gold accents and features an art deco design on its face, making it elegant and attractive. This ticket is for a Winter Party Festival event that supports the National LGBTQ Task Force in the fight for full freedom, justice, and equality. 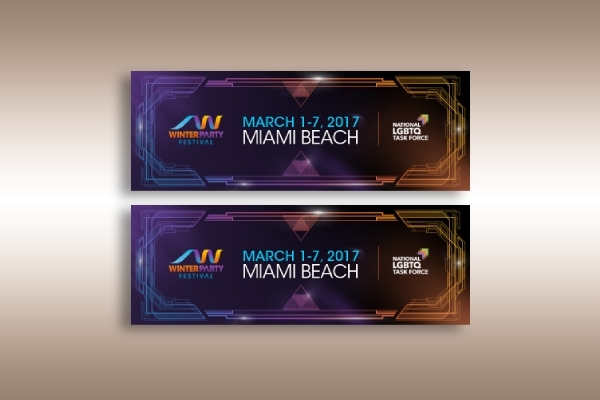 It is stated in the ticket that a significant portion of the proceeds of the event will be donated to South Florida LGBTQ organizations. The additional benefits of this VIP ticket include one bottle of vodka, seating area with easy access to a bar, express entry into Space by a Winter Party Festival representative, and of course, the awesome feeling of giving back and supporting an organization. For those who are a huge fan of football, comfortable seats with a good view of the pitch are guaranteed with these VIP tickets. In fact, these VIP tickets are categorized into two, namely VIP gold and VIP silver. These include a warm dish and a drink of your own choice. Moreover, those who are availing the tickets will have access to the Wisla Krakow VIP area, a place dedicated to avid fans and supporters who want to have the maximum comfort and experience while watching football games up close. 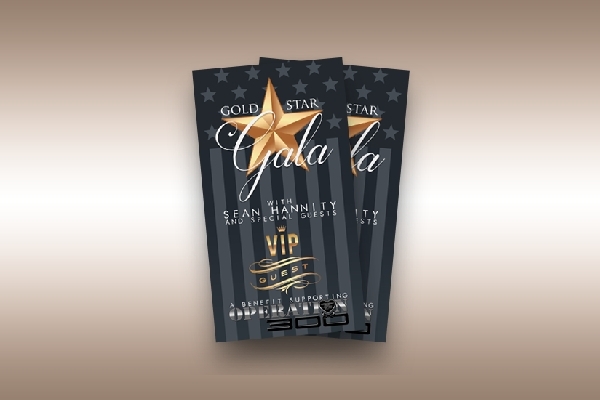 Aside from the fancy ball gowns that you need to prepare for a gala, you also need to be in the most comfortable seat with added benefits and privileges through this Gold Star gala VIP ticket. A gala usually features dinner and entertainment and sometimes dancing and auction. 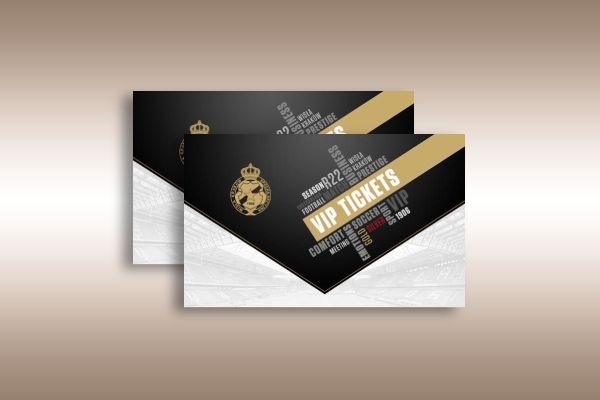 Because this is a very elegant and prestigious event, the event ticket is also designed in a way that it presents elegance and sophistication. It contains the main information of the event, such as the event title, the guest, the ticket type or class, and the beneficiary of the event. 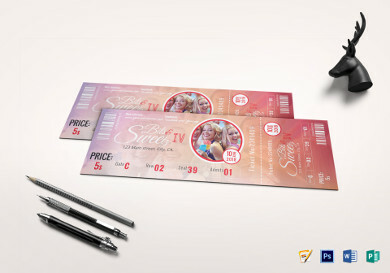 As you can see from this sports ticket, it contains the vital elements that must be present in every ticket such as the following: name of the sports event, type of ticket, special guests, date, day, time, and location. For those who want to have a better experience and a comfortable seat, this Canadian Football Hall of Fame VIP reception ticket is the answer. With this, the holder of the ticket can watch up close from great talents and meet some of the biggest stars of the game. This also includes a VIP cocktail reception as well as speeches from celebrated players. Want to park just a few steps away from the Wolf Lake Pavilion entrance? 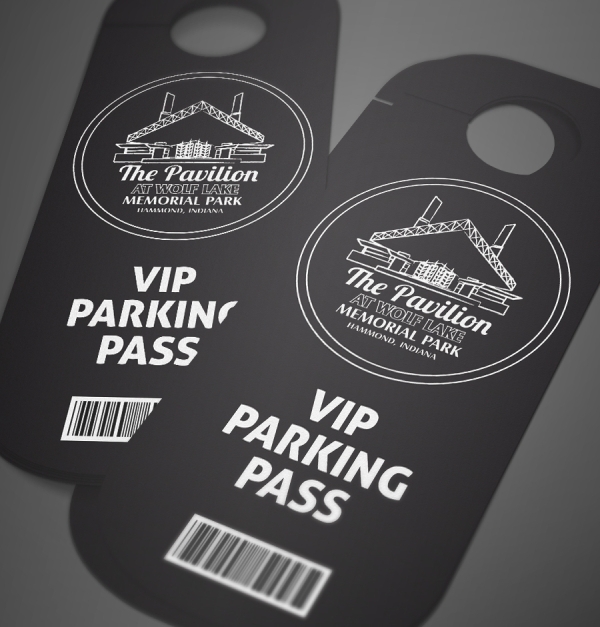 This parking ticket provides visitors easy access to the pavilion as there is no need to print it, but instead, you can just present the ticket to the ticketing booth using your smartphone or any device. Notice that there is a bar code that is unique for every ticket. When this bar code is scanned by an agent and marked as redeemed, it cannot be scanned again, hence making the ticketing system smooth and convenient. This VIP pass will let the holder enjoy all the benefits of being closer to the stage and the conveniences of being a VIP. Additional benefits of this ticket are as follows: access to all areas available to the general public plus access to the VIP viewing section which is located in front of the stage, access to VIP alcohol refreshment bar and ticket booth where you can purchase beer and other alcoholic beverages at a regular price, access to the designated backstage VIP Experience with a separate VIP alcohol refreshment bar and ticket booth where discounted beverages can be purchased, re-entry privileges, and access to separate restrooms. A lot of people hustle up this VIP ticket to experience great benefits such as early entry in American Girl Land, one hour early for VIP prime shopping, and salon, spa, and face painting before the doors open for all other attendees. Holders of this ticket are also able to choose and hold their own seat upon early arrival and will be able to participate in a special VIP activity. When attending a music festival event, you will have the best experience when you are seated nearest to the center stage and this is offered by this VIP admission ticket. 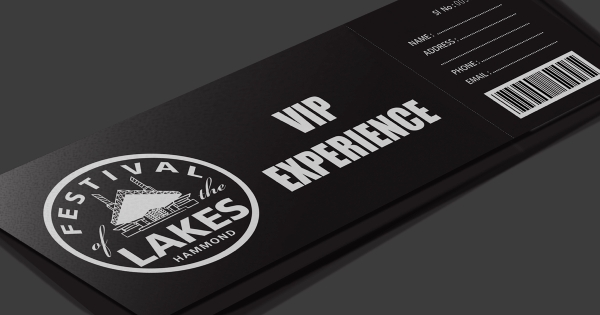 VIP admissions also include the following: hospitality lounge, exclusive VIP laminate, one complimentary beverage, complimentary bites, preferred parking, preferred entrance, and $5 coupon on all RockFest concert merchandise.